A Singapore-based HR professional writes in to Human Resources in response to an article correlating a leader’s age to their effectiveness – urging HR leaders to start thinking out of the box and move away from traditional ways of thinking. The result of the recent Randstad Workmonitor survey, while hardly surprising, begs the question if organisations are indeed moving with the times. The study showed that more than 80% of employees in Asia prefer to work for a manager who is older than them. The age-old discussion of ‘Are you old enough for your employees’ is a highly debatable one and may perhaps remain so in the decades to come. While I am not discounting the fact that one gets wiser as they grow older, there is perhaps a need to study this trend and ascertain if this is indeed the right mindset to inculcate in their respective organisations. Should an employee’s age or years of working experience hinder their career progression? As much as I agree that employees with more years of experience under their belt may be deemed as wiser, I also believe younger managers can be equally wise and forward-thinking in managerial roles. If we are solely relying on an individual’s years of experience as a yardstick to their managerial ability, why do we then have learning and development courses for employees to attend and upgrade themselves? Could the result of the survey be a reflection of the lack of confidence in younger leaders and their perceived lack of emotional quotient when relating to older subordinates who may feel comfortable seeking solace in an older manager? Business leaders, with the help of their human resources partners need to change this. They need to adopt an open mind when assessing an individual for a managerial role. Why shouldn’t hiring managers consider investing in a less-experienced employee’s massive potential and help them develop further to achieve the desired outcome? Are organisations being myopic by discounting younger employees because they fear their decision (to appoint them into managerial roles) may backfire due to their lack of experience? The onus of bucking this trend and looking at futuristic ways to attract, invest and retain talent is on the human resources function. In a few years’ time, the global workforce will have a Millennial-majority population. Are organisations bracing themselves for this and, perhaps more importantly, are organisations being myopic by discounting younger employees because they fear their decision (to appoint them into managerial roles) may backfire due to their lack of experience? Many a times, I hear business leaders talk about ‘taking the plunge’ and take calculated risks in their decision-making process. While I haven’t seen many of such cases, I take my hats off to leaders who practice what they preach. In my day-to-day job, I interact with many individuals from different generations across various nationalities either through interviews or by means of being my stakeholders. In most, if not all, of my conversations involving Millennial professionals, one of the greatest points of frustrations for them is being overlooked for managerial positions because they lack the years of experience. For most of them, submitting their application through job adverts is not sufficient enough to get them an interview or even a phone call from potential employers. For some others who go via the headhunting route, they are informed upfront by the recruitment consultants that they lack the years of experience required to carry out the role and that they wouldn’t make the cut. This, in my opinion, is an outdated approach to selection and doesn’t promote the diversity (of thought) that most organisations pride themselves upon. I am in no way suggesting that young employees should immediately be appointed as key appointment holders in their organisations, rather, be considered fairly for managerial roles. Some may attribute the results for Asia to the fact that Asians are more traditional in their thinking and the way they view seniors differently as compared to their western counterparts. I’m Asian and have every respect for seniors but I don’t believe that the same concept of respect should necessarily be replicated at the workplace in the same context. Respect can come in many shapes, ways and forms. When it comes to one’s career development, age should not be the main measurement for success. There are many examples of young individuals being appointed as key appointment holders and succeeded in their roles. Forbes published an article which mentioned the ways Millennials are changing traditional leadership. Leaving an organisation when leadership doesn’t meet standards is one of the points, amongst others, that was covered in the article. 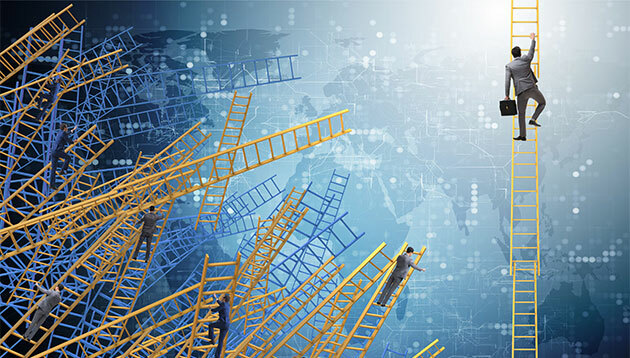 It is time business leaders in Asia brace themselves for change in anticipation of a ‘leadership renewal’ of sorts, and start planning for their longer term business needs. It is important to have a good mix of youth and experience. I am in no way suggesting that young employees should immediately be appointed as key appointment holders in their organisations, rather, be considered fairly for managerial roles. If this can be done in other parts of the world, I don’t see why Asia cannot do it. Results from the Deloitte’s Millennial Survey 2018 showed that Millennials’ confidence in business and in employers has deteriorated from previous years. The report mentioned that ‘attracting and retaining Millennials begins with financial rewards and workplace culture… it is enhanced when the workplace offers higher degrees of flexibility’. Flexibility here is of course subjective and could mean anything from flexi-work arrangement to flexible ways of thinking (which may include moving away from traditional ways of recruitment and selection). While there is plenty of work for organisations to do, there is, thankfully still plenty of time for them to work through this change. The author is a Singapore-based human resources professional. This write-up is in response to an article which was published on Human Resources and merely expresses the opinion of the author.